This statement was not made by some 19th century callous landowner, but by Auberon Waugh in 1996 in the Daily Telegraph. Historian and bon viveur Michael Fry has also recently claimed the Duke was misunderstood, and landowners were acting in the interests of Highland communities during the Clearances. Professor Tom Devine, holder of the Sir William Fraser Chair of Scottish History at Edinburgh University, recently told officials a complete shake-up of history provision in schools was needed so that pupils properly understand Scotland’s place in the world. Devine recommend more time should spent on studying the Clearances. It is obvious there is a need for an investigation into the nature and scale of the Clearances. The facts have always been subject to revision, but now Rob Gibson’s The Highland Clearances Trail systematically documents dates, places, names and numbers and in doing so nails the lie the Clearances were somehow a benevolent act by paternalistic landowners. 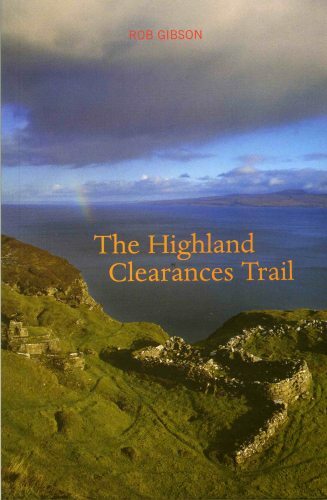 The Highland Clearances Trail was originally published by Highland Heritage in 1981, when Inverness Tourist Office banned the booklet from its stock, stating that it was ‘unsuitable for tourists’. Today Luath Press has published a much enlarged version with five times as many entries as the original pamphlet. It is now an invaluable guide to the reality of the Clearances and their shattering effect on Gaelic culture. Name one of the places in Caithness affected by the clearances. which document around 150 clearances sites. AUTHOR: Rob Gibson has been an SNP MSP for the Highlands and Islands since 2003 and is an enthusiastic member of the Environment and Rural Development Committee. His interest in Scottish history has encompassed both Highland hillwalking and land reform. He has published various books including Plaids and Bandanas: From Highland Drover to Wild West Cowboy in 2003. 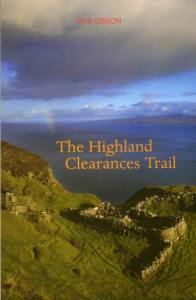 The Highland Clearances Trail by Rob Gibson (ISBN 1 905222 10 6, PBK £5.99) is published by Luath Press on 20 March.